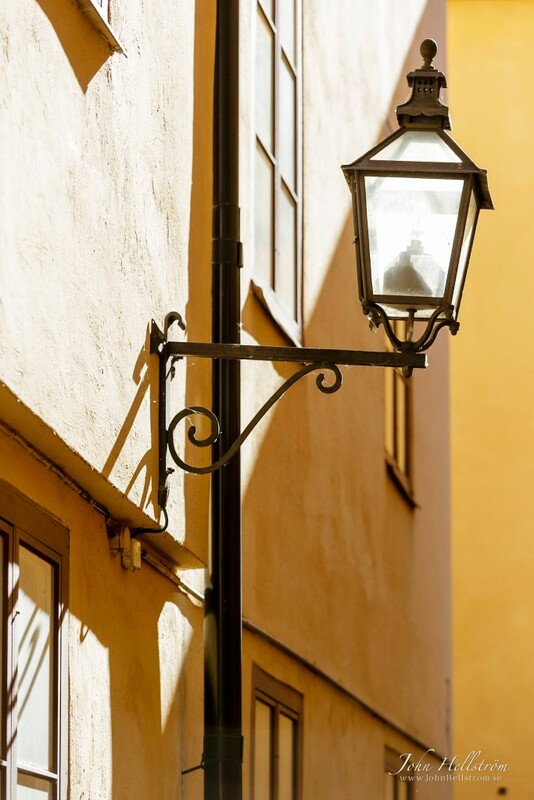 Wedding photographer John Hellstrom met Mia and Tobias in Old Town (Gamla Stan), Stockholm, Sweden, for an engagement photography before their wedding. It was a wonderful summer evening. The war summer sun gave us strong contrasts and lit up the alleys. Between trees and green leafs. Outside the German church in Old Town. Even if the walls look new for the Old Town, it is founded back in year 1571. The sun light finds its ways through the allays. John Hellstrom is a wedding photographer from Stockholm, Sweden. He is working wold wide.